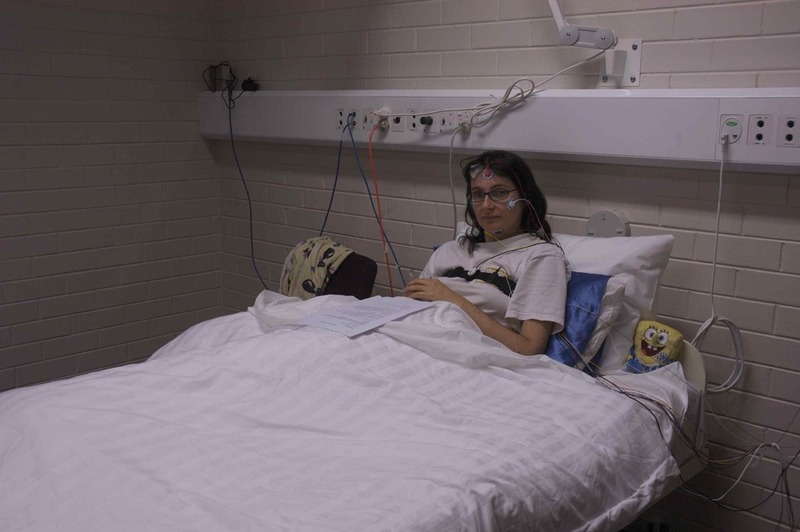 In December 2010, three volunteers participated in a two-week sleep study conducted by myself and administered by a sleep technologist. 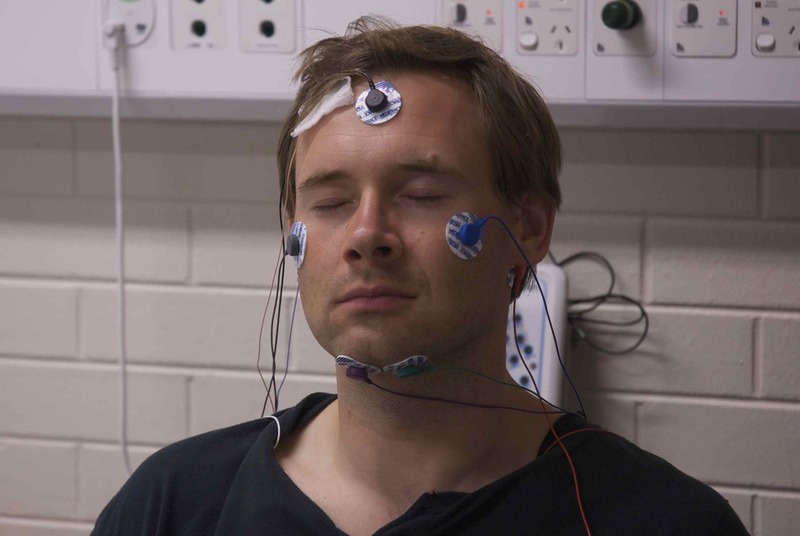 The Structuring Somnolence project was a series of durational performances that intended to first observe sleep as a restful state and then to impose movements and positions on to the sleeping body. With these actions, I intended to subvert the sterile sleep laboratory environment by imbuing it with an artistic influence, calling upon alternative models for envisioning sleep, one which focus on its corporeality. 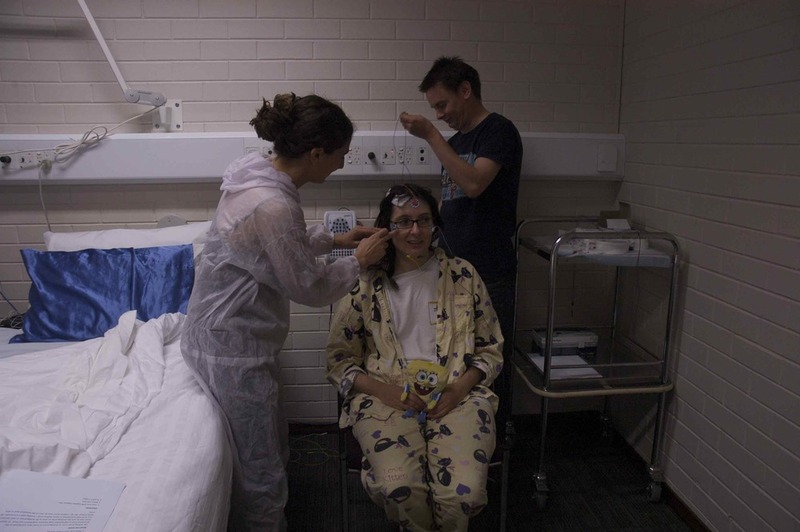 Structuring Somnolence was created at SymbioticA, the art-science research center and the performances were enacted at the Centre for Sleep Science at the University of Western Australia. 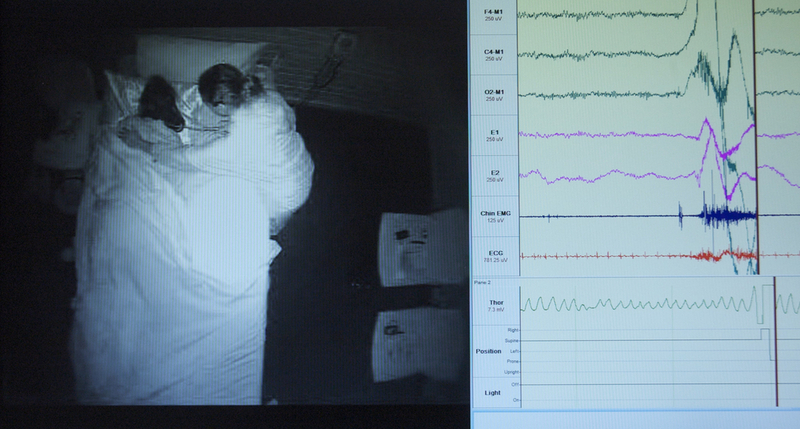 The culmination of this project is a synthesis of my thesis research into sleep science with my studio practice.